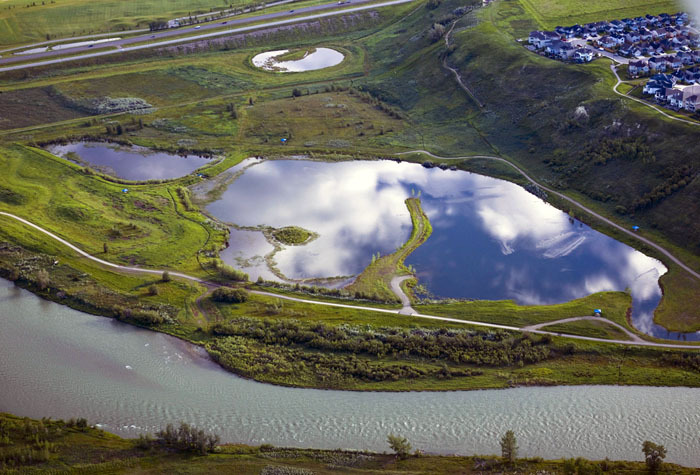 This project began in 1999 as a stormwater facility to manage runoff volumes and contaminant loading from a 6 km length of Deerfoot Trail, Calgary’s major urban freeway. 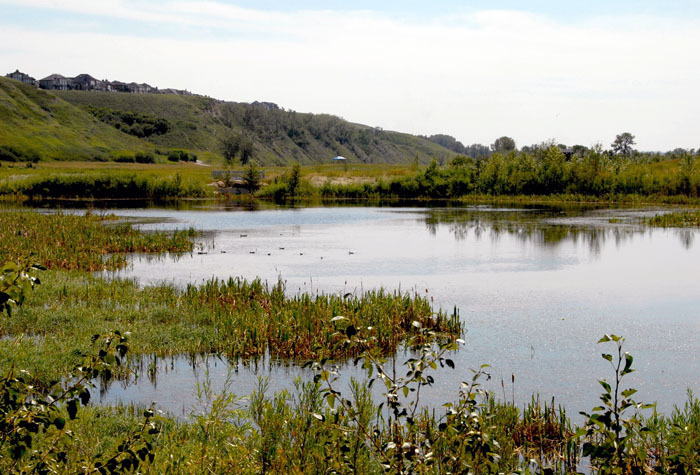 A high standard of water treatment was required due to the sensitivity of a trout fishery in the receiving waters of the Bow River, south of Fish Creek Park. Innovative solutions were required due to the number of approving authorities and stakeholders, the sheer size and complexity of the work, and the need to address interest groups who are astutely aware of the recreational amenity value of this area. 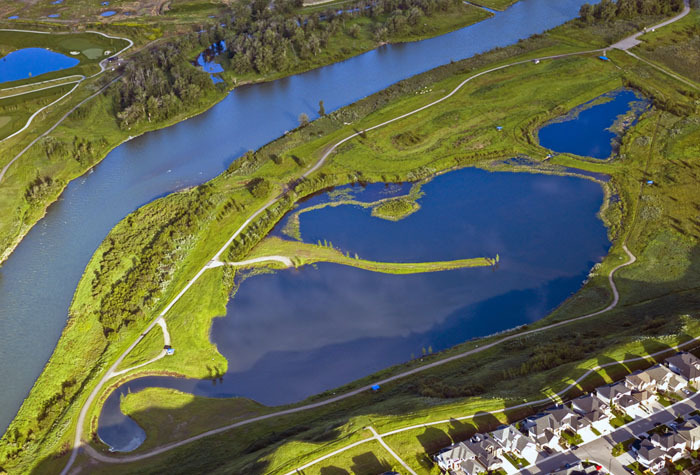 An abandoned gravel pit south of Highway 22X and east of the river provided the opportunity for a integrative environmental design project to treat the Deerfoot Trail stormwater runoff and restore the gravel pit to a functioning ecosystem with Fish Creek Park. Monitoring was conducted during the 2002/2003 seasons, and the site performed beyond the predicted levels of water treatment, providing over 98% removal of sediments. 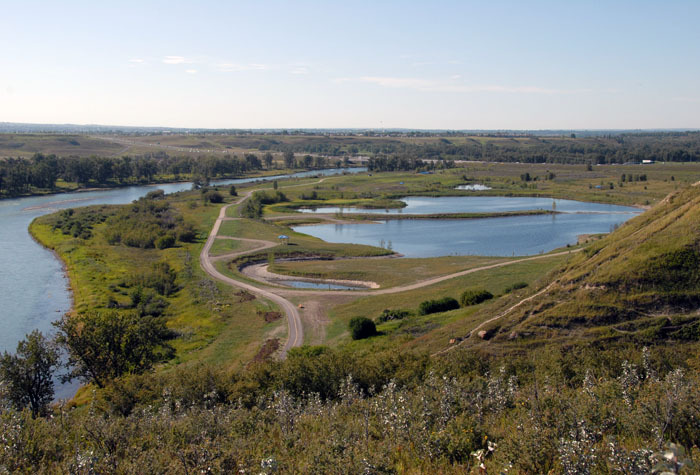 Subsequently in 2008, the City of Calgary recognized another opportunity for this site to also treat water from existing subdivisions that were being discharged from Calgary’s largest outfall to the Bow River. 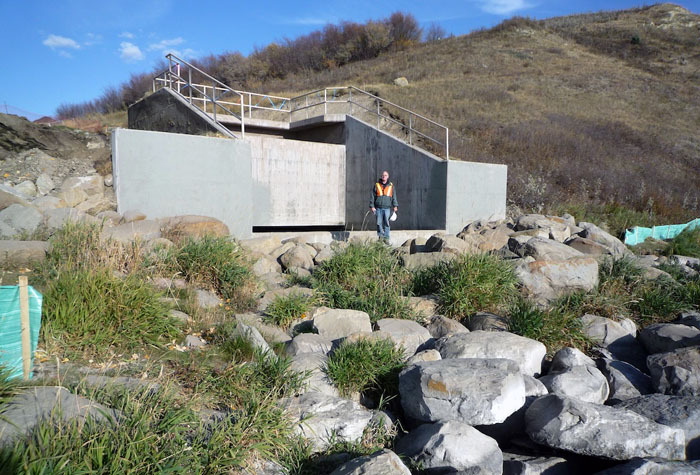 The system was re-designed to capture and treat all of this water – resulting in the complete removal and restoration of the outfall and surrounding lands. 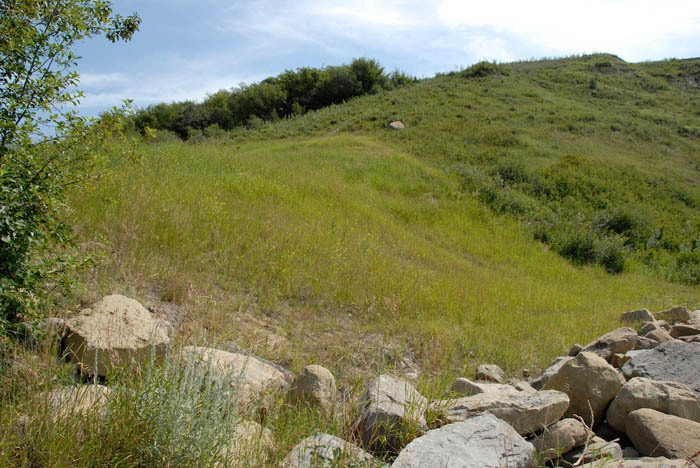 Also during this re-design of the project, other areas of the site were restored to native riparian, mesic and upland conditions. 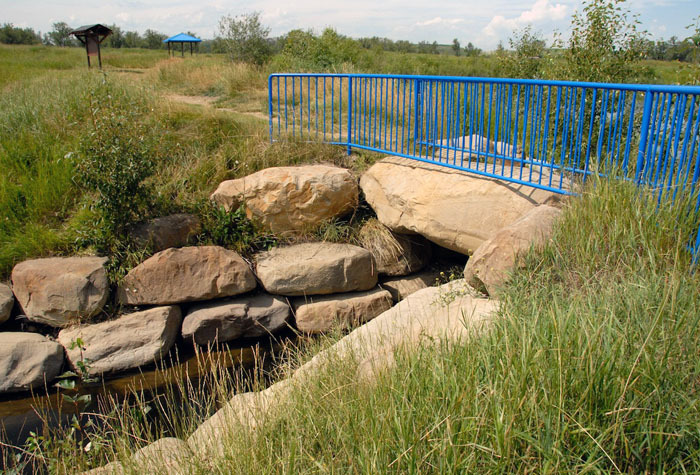 This restored site now exhibits regionally significant productivity and biodiversity, while providing substantial protection to immediately adjacent trout spawning habitat in the Bow River.